You'll never think about productivity the same way again! Are your employees feeling exhausted, cynical, or just tuned-out? Do they frequently check their phones in meetings, and seem especially uninterested to hear about the next important organizational change? Are they working harder but getting less done? Ill too often or for too long? These are some of the classic warning signs of disengagement. In a perfect world, work should do so much for us. It should lend us purpose and a sense of meaning, offer us structure and stability. But invariably, something goes wrong—many employees have to pull themselves over the fence each day at a job that is burning them out. Employee engagement and burnout were declared in a state of “crisis” and the biggest concerns for employers in 2017. And we are right to be concerned. Disengagement comes at the yearly cost of $550 billion to the US economy. But it’s not just our economic prosperity that’s at stake. The study presented in Burnout to Breakthrough shows an alarming correlation between disengagement and the following three health predators: depression, obesity, and suicide. Here, Ina Catrinescu draws on cutting-edge neuroscience, and integrates social psychology and organizational science to reconsider accepted narratives, connect past developments with contemporary concerns, and examine specific management practices within the context of this workplace crisis. She redefines how we understand work and idleness. And the best part? The same turnkey solution that can aid disengagement and burnout is responsible for unleashing our creativity. Are you ready to get your employees thirsty to create, their minds tickled, and their hearts racing? 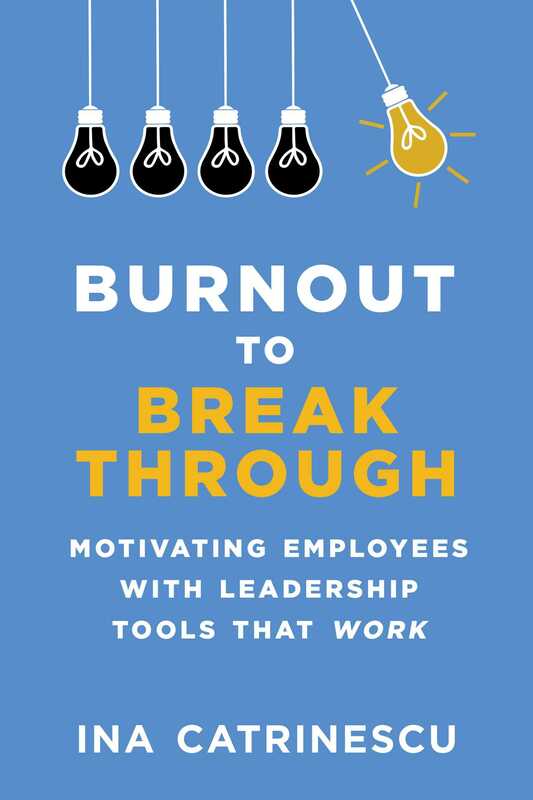 Then Burnout to Breakthrough is the right book for you.